This job always has the oddest things that come up during investigations. On Wednesday night my friend and I were standing in front of our favorite 7-Eleven, which is affectionately referred to as the NSUB (North Sub Station). We were minding our own business when a motorist drove by honking her horn at us. She yelled out her window and said there was a fight down the street. I hadn’t been there that long and I reluctantly put my cup of coffee away as I headed down the street to find out what the woman was yelling about. When I got to the next intersection, there was a car parked at the corner in an odd spot with is head lights off. There was a male standing next to the car and he saw me pull up. He then started running away as the car drove away with its head lights still off. I decided to stop the car to see what was going on. As the car started to leave I noticed it was jerking forward like it stalled. The car pulled into the parking lot as I activated my lights. When it stopped, four people jumped out at the same time as a Budweiser beer can fell out. We detained everyone while we tried to figure out who did what. Of course, the driver was 16 years old and was unlicensed. I wouldn’t expect anything else because that’s how we roll in the city I work at. The driver said he was the only person in the car who knew how to drive a stick shift. The owner of the car then contacted us and said they had taken his keys from him while at a motel room. Now I knew my cup of coffee was going to get cold because of all this drama. His cousin then said, “He used to worship the illuminati,” as she laughed. I wasn’t sure what she was talking about so I pulled out my phone. She started laughing and asked if I was going to look it up. I told her I was going to Google it. 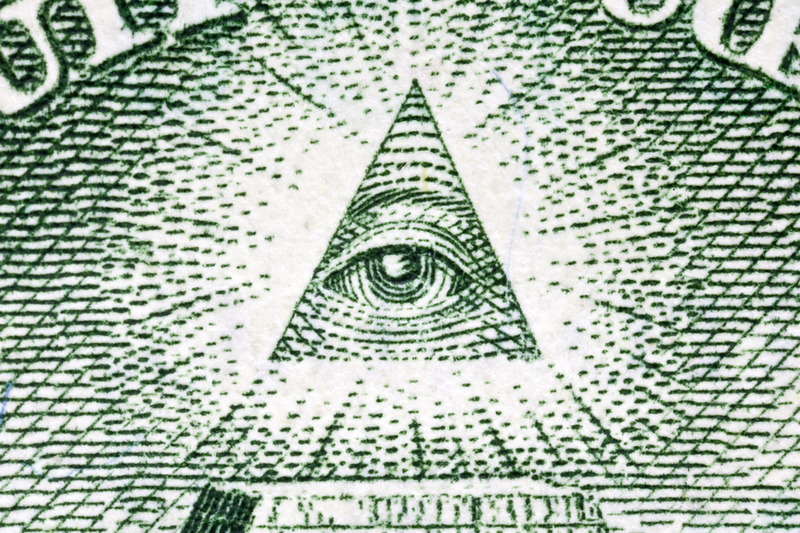 That’s when I saw that it was the triangle with the eye from the back of the one dollar bill. I turned my phone around and showed her the picture. “Oh, don’t stare at it. If you stare at it, your body is going to start shaking.” She said that as she started shaking like her body was taken over by a voodoo spell. She also had a worried look on her face. She again told me it was evil like the devil. She was totally serious too. All I could do was shake my head. I never thought my car stop would turn into a lesson about superstition and the devil worshiping. It’s also amazing how someone would think I could start shaking if I stared at the illuminati. You never know what you’re going to hear on this job. That’s what keeps me coming back for more.